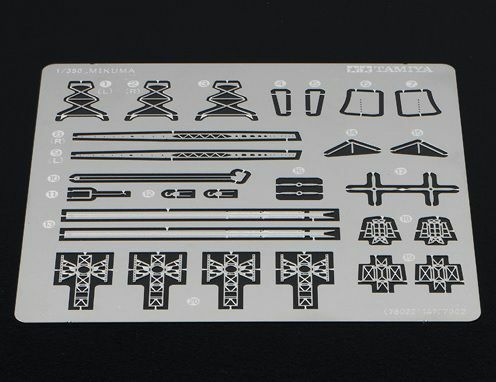 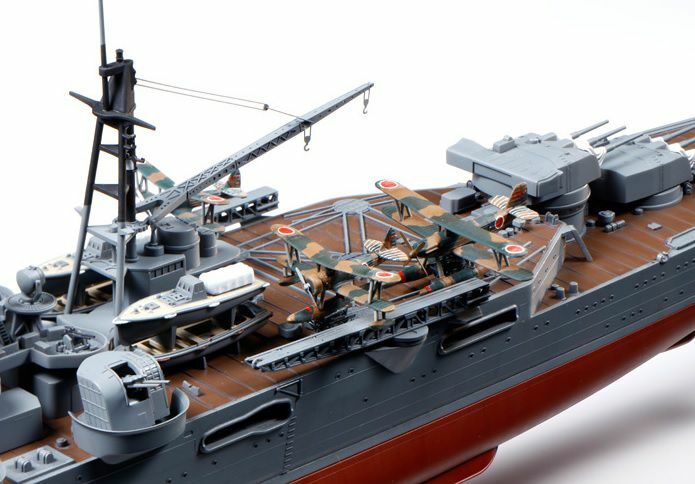 The Japanese Navy's Mogami-class light cruisers were planned under the London Naval Treaty limits with an 8,500 ton standard displacement with 5 triple 15.5cm gun turrets. There were four ships in the class with the Mikuma being the 2nd to be completed in August 1935. 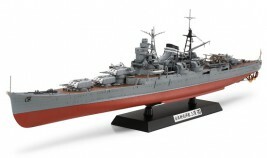 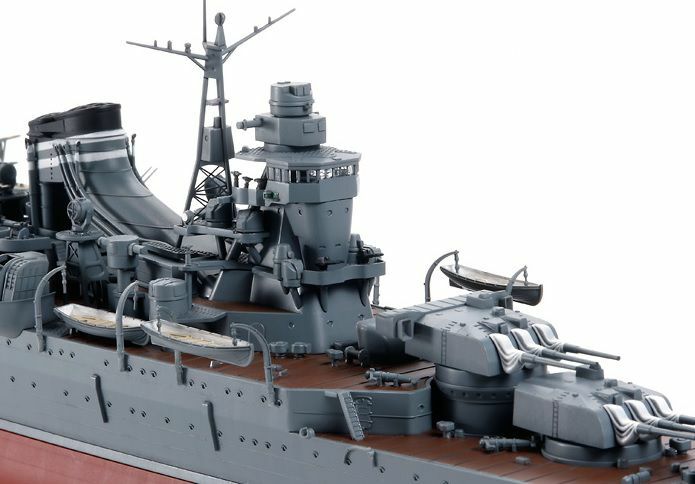 She received distinctive Mogami-class features such as the flared bow, compact superstructures, and uniquely shaped funnels, while having different details on the aft mast and crane from those of Mogami, the 1st ship of the class. 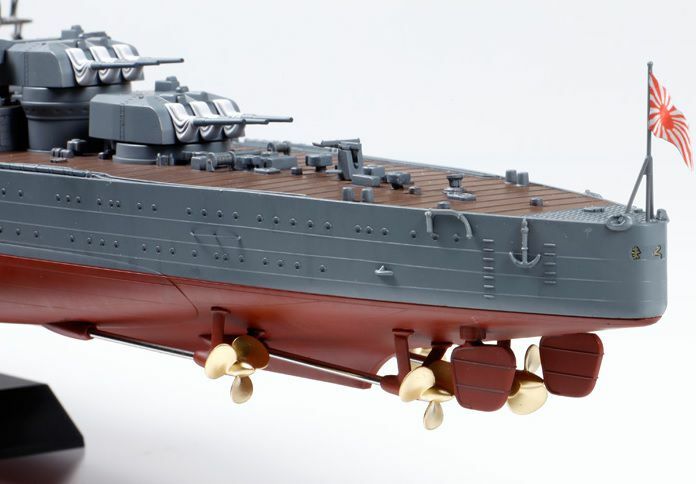 With the withdrawal from the treaty, the Mikuma was refitted with 20.3cm twin gun turrets and was converted into a heavy cruiser in 1939.